With Republicans currently in control of the House, Senate, and White House, many Democratic platforms are being tossed aside. From pipelines to travel bans, Republicans have officially taken hold of government regulations and happenings, and are steering the conversation as they see fit. And although the initial Republican health care bill to replace Obamacare was tossed aside recently, due to lack of support, the desire to defund Planned Parenthood still remains intact. As the dismantling of Planned Parenthood is totally possible, it's important to know your alternatives, if you're a patient; Here are a few places that provide maternity care that aren't Planned Parenthood, just in case the worst happens. As Republicans like to point out, federally qualified health centers, local community clinics, and rural health clinics all offer reproductive and maternal care, but the level varies based on location, among other factors. While there are definitely viable alternatives to Planned Parenthood clinics, it's important to note that many of these other facilities don't take into consideration patients' income, or whether or not they can afford the care that they need (not to mention, many have questioned the facilities' ability to absorb all of Planned Parenthood's patients in general). Nevertheless, there are other options out there, and with the looming threat of Planned Parenthood being defunded, being aware of these other options is crucial, especially if you already know you'll need prenatal or maternal care in the future. As Paul Ryan (somewhat accurately) noted, "For every Planned Parenthood, there are 20 federal community health centers." While this is technically true, federally qualified health centers vary in their treatment options. According to The Washington Post, "there are more than 9,800 health center delivery sites in the federal Health Center Program," though the ability of all those clinics to provide the services patients need or patients' ability to access them might be limited. FQHCs are required to service all individuals, regardless of whether or not they're able to pay, and offer all kinds of care. However, as The Post notes, "FQHCs in total provide less than half the number of contraceptive services than do PPAHCs (Planned Parenthood of America Health Centers)." 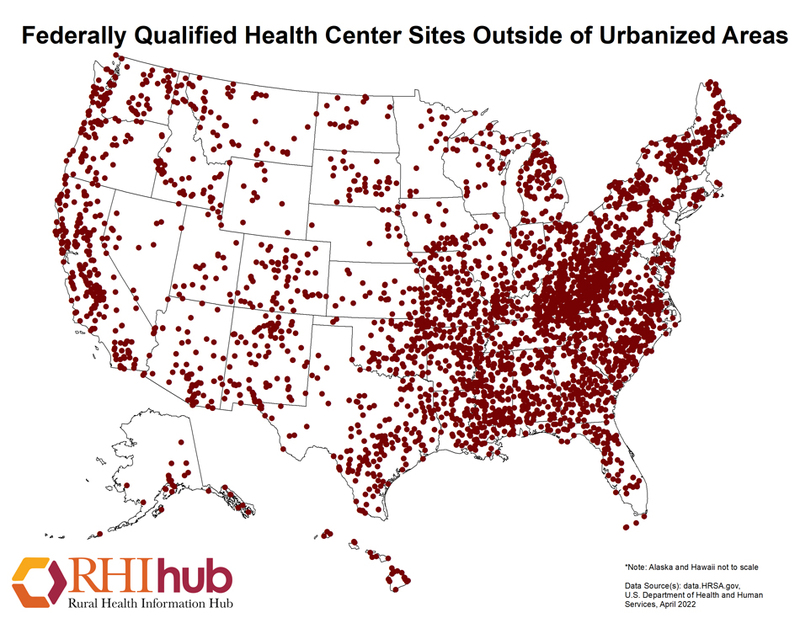 Here's a map of FQHCs currently in the United States, if you're interested in finding one for yourself. Another alternative to Planned Parenthood services are your local community clinics. While these will obviously vary by location, most cities and towns have at least one health care clinic to provide care to lower-income populations. However, the services these clinics provide also vary, and abortions, contraceptives, and maternal care may not be a given (make sure you check before heading over). Most clinics will be easy to find via a simple Google search, although the National Association of Health Care Centers can help you find one near you as well. Like federally qualified health centers, rural health centers exist to provide care to all Americans, with just over 1,000 locations all over the United States. However, there are crucial differences. According to Nathan Baugh, of the National Association of Rural Health Clinics, "some RHCs [will] not see patients if the patient [is] uninsured or low income due to financial constraints." As their names suggest, these centers are located more rural areas, and it's likely they may be the only alternative to Planned Parenthood if the organization were to be defunded — so, for low income families who can't afford to foot the bill at a rural clinic, that could be a huge problem. While you may have to make a bit of a drive, most Americans are closer to a low-cost or "sliding-scale" clinic than they may think. This website helps to find the closest ones by you, although services such as abortions may not be available, and costs will vary. It's easy to see that, while there are still some options, if federal funding to Planned Parenthood is cut off altogether, states will have to seriously rethink current clinic offerings or implement similar initiatives to help provide care for women. What patients have might be OK for now, but the sudden influx of patients in need of a Planned Parenthood alternative might be too much for the system to handle. Here's hoping those in charge recognize that sooner rather than later.